"This is the first time in the history of the universe that something of this magnitude is happening. This is the greatest show on Earth." Since planet Earth was awarded the strict condition of free will and thus, non-interference by other extra-terrestrial races, a special plan had to be devised in order to rescue it from its current path of destruction. As was stated earlier, the most imminent threat to the Earth came with the development of the atomic bomb during World War II. The creation of nuclear weapons served as a dire threat to all of humanity, and shortly after their implementation in both Hiroshima and Nagasaki, Japan, a rash of UFO sightings began to occur on the planet. Beginning with 1947 UFO crash in Roswell, New Mexico in 1947, unidentified flying objects began to appear regularly on our planet throughout the remainder of the 1940's and into the 1950's and have been steadily increasing to record numbers today. Extra-terrestrial craft started arriving to Earth in massive numbers and they have been seen over many nuclear installation sites around the world. Eye witnesses have reported seeing a UFO over missile silos or nuclear weapons facilities and have watched in utter amazement as the power was cut to that installation. Others have witnessed a test missiles in orbit with nuclear warheads on board and seeing them mysteriously malfunction and crash land to Earth. Some have even seen UFO craft surround the missile and shoot a laser beam weapon at it to disable it. The US Challenger shuttle space mission, which famously had on board the first teacher to go into space, Christa McAuliffe, was thought to have had a very dangerous military payload aboard intended to be installed in space, or perhaps on the Moon. Some have theorized that there was an intent to place a super weapon on the Moon that would have posed a extremely dire threat the entire world and this would not be allowed to happen. And that is why the Challenger shuttle craft barely got off the ground. Similar UFO sightings were also observed during the crash landing of the Space Shuttle Columbia which mysteriously burned and blew apart on re-entry into Earth's orbit on February 1, 2003. With this dire threat of nuclear weapons, the Custodians made the bold decision that since the planet could not be saved from the outside, it would be saved from the inside. Therefore, it was determined that a call would be sent out to ask for volunteer souls who would be asked to come to this planet and inject themselves into the human race to assist in a mass awakening of humanity to prepare humanity for the arrival of the 5th dimensional Earth. These souls began arriving to Earth in the mid 1950's in what is known as the First Wave. These were first of the volunteers who answered the call to save planet Earth from its own destruction. The Second Wave began in the 1970's and the Third Wave in the 1990's. Dolores Cannon has been told by the Custodians that a critical mass of souls has been achieved so that the process of splitting of the Earth into two can move forward full steam ahead. FIRST WAVE: (UPDATE: With her new book, "The Three Waves of Volunteers and the New Earth", published in mid 2011, Dolores Cannon has now included people who were born directly after the dropping of the atom bombs in World War II in 1945.) Born in the mid to late 1940's, 1950's and throughout the 60's, these people would be in their 40's, 50's and their early 60's at this present time. Some may finally be adjusting to life after going through turbulent early years of feeling they didn't belong here. A number of them may have tried to commit suicide or were treated for depression, particularly in their teenage years. First Wavers feel that they don't want to be on planet Earth, because they simply don't like it here. They feel an overwhelming desire to go home but they have no idea where home is. They are particularly repulsed by the violence on this planet because they are very gentle people. They don't understand emotions, anger and fear upsets them and this is another reason why they may have tried to commit suicide. They feel out of place and they often many remain loners because the emotional energy of Earth is too chaotic for them. Many also choose not to have children because children cause Karma due to the ties involved through many lifetimes. So in order to protect them, a karmic shield is put over the First Wavers so they cannot accumulate karma. We are here to learn emotions and limitations and for many that is very difficult. The First Wavers who have worked with Dolores Cannon, or who have been exposed to her information, often come to the conclusion that they may not like it here but they are willing to fulfill their very important mission. SECOND WAVE-- Born in the 1970's and 80's, these individuals would presently be in their 20's and 30's. The Second Wavers have had a far easier time adjusting to Earth. The First Wave were the pioneers or the trailblazers that is why they had so much difficulty with living on planet Earth. The Second Wave has had it far easier and do not have near the problems that the First Wave has experienced. Dolores Cannon refers to the Second Wavers as "channels, generators, and antennas," and they generally project a very positive energy. There are just here to be. The energy they have in their body effects everyone they come in contact with. Many have chosen not to have children, as this creates karma, and they don't want to have to return to Earth after this life. They are very gentle, they could walk through a mall or a grocery store and affect everyone. They emanate a very positive energy. Just like the First Wavers, they just want to do their job and get out of here. They also are protected by a karmic shield because they don't want to be stuck on Earth and unable to return home. THIRD WAVE: Born in the 1990's to the present, these are the "New Children" who are coming into the world with their DNA already altered before they even arrive so they are able to function in a different reality. The vibrations coming into the planet are pushing Earth into a whole new dimension and they are already prepared. Some call this Third Wave of souls the Indigo children, or the Crystal children. They are also known as the gift to the world. They are the hope of the world and they come in knowing so much more than either the First or Second Wave. 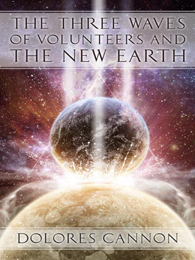 Dolores Cannon has announced the publication of her next book, "The Three Waves of Volunteers and the New Earth" scheduled for release in June 2011. This book will offer much more details on the three waves of souls and their volunteer mission to help raise the vibrations of the planet into the 5th dimension. This book will likely be an invaluable resource for those who feel they may be one of the three waves of souls that Mrs. Cannon has been able to identify thus far. It will offer more insight into this phenomenon than any other researcher has been able to bring forth at this time. This book can be pre-ordered from the Ozark Mountain Publishing website. In 1945 when the atomic bombs were dropped in WWII, our "protectors" and "watchers" in outer space saw that Earth was on a collision course with disaster. The prime directive of non-interference prevented them from taking any action, but then they came up with a brilliant plan to save Earth and assist her in her ascension. They couldn't interfere from the "outside," but maybe they could influence from the "inside." So the call went out for volunteers to come and help. "Earth is in trouble“ who wants to volunteer? –	What is the New Earth? –	What is the Significance of 2012? As you can clearly see, this is quite an amazing and incredible plan to save humanity. And it clearly demonstrates how loved and valued we are by those who created and have cared for us throughout the history of the human race. But the time has arrived for a great change to the program which allow humans to get off the wheel of karma and embrace a whole new existence in a place that is to known as Heaven on Earth. The Golden Age. And a 1,000 Years of Peace. "This is the first time in the history of the universe that something of this magnitude is happening," Dolores Cannon says. "This is the greatest show on Earth." Indeed, more likely, the greatest show in the Universe! Bar none! 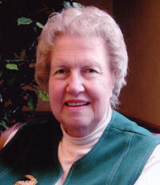 Another noteworthy investigator in this field is Mary Rodwell, who is a colleague and friend of Dolores Cannon and works out of the country of Australia as a past-life regressionist and abduction researcher. She has helped numerous abductees and star children, who have had direct interaction with Greys and other extra-terrestrial races. Some even believe they are hybrids of both human and ET blood. Mary Rodwell has also written a book about her years of research in this field entitled, "Awakening: How Extraterrestrial Contact Can Transform Your Life" in 2005 and later revised later in 2010. She also lectures around the world regarding her many interactions with ET abductees and their amazing experiences. See the video from the ECETI 2010 Conference below for a sampling of her work.